Sentix is available for download from the downloads page. 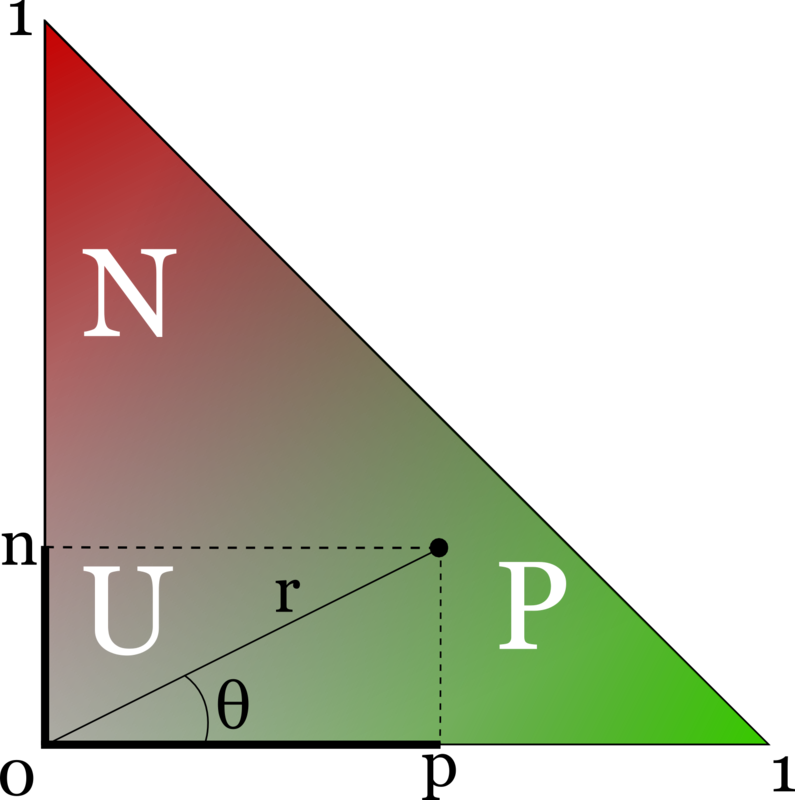 Intuitively, synsets that fall into the P region are "positive", synsets that fall into the N region are "negative", and synsets that fall into the U region are "neutral". However, the three regions are not clearly delimited. Polarity (π) ranges from -1 (totally negative) to 1 (totally positive). Intensity ranges from 0 (totally neutral) to 1 (totally polarized). Polarity and Intensity are functions of the positive and negative scores found in SentiWordNet, thus they don't add any informationi to it. However, they are intuitive measures of lexical sentiment. When it's not possible to perform Word Sense Disambiguation, then all senses of a word must be considered (or one can use heuristics such as taking the most frequent sense). Many words are polysemous, that is, they have multiple meanings. The meanings of a word can convey sentiments with opposite polarities. The polypathy of a lemma is a measure of the spread of its senses on the polarity scale. One way of compute the polypathy of word is the standard deviation of the polarity of its senses, but this method does not take into account the intensity of the synsets. An alternative method is to take the mean distance of all synsets from their centroid in the sentiment plane. Two lists of Italian and English words with their polypath (computed as standard deviation of polarities) are available for downloads in the downloads page.